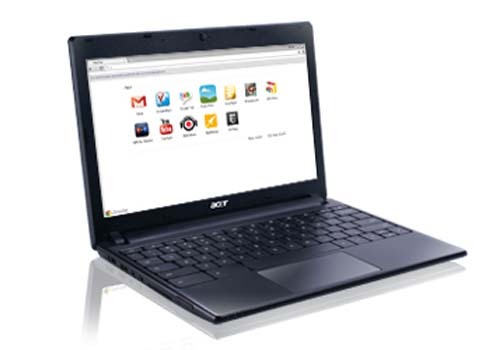 Acer Chromebook AC700-1099 comes with Chrome OS, 11.6-inch WXGA LED backlight display with 16.7 million colors, and Intel GMA 3150 graphics card. This laptop is powered by Intel Atom N570 processor, 2 GB DDR3 RAM, and 16 GB solid state drive. Acer AC700-1099 is equipped with 802.11 a/g/n WLAN, Bluetooth 3.0, 6-cell Lithium-Ion 4400 mAh battery, camera, multi-in-one card reader, and two USB 2.0 ports.